Car washing is a job that needs to be done several times over a year, especially if the vehicle is used daily. It is important to remove the dirt and dirt from the car as soon as possible to avoid permanent stains, erosion of parts, but also to make the car more beautiful. The easiest way especially if there is no time available is to go to a car wash. But if the car wash is a procedure that you like, here are some basic steps to do it right. The area that you decide to wash the car should not have sun because the soap will dry faster than you think and will leave marks in color. Also, if the body is burning, the water will evaporate quickly without wiping it. Note that all doors and windows are completely closed because you definitely do not want water to enter the interior of the car. Lift the windscreen wipers out of the glass and wear clothes that you do not care if they are soiled or filled with soap and water. Organize the right products to use. 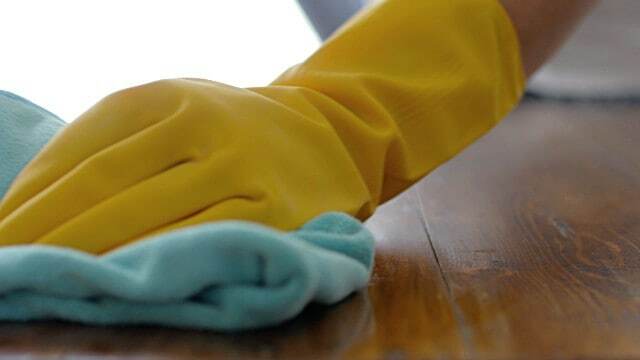 You will need a rubber, bucket, sponge, brush, wash gloves, towel or microfiber cloth and cleaning detergents. For the washing process you will need plenty of water depending on the size of the car and how many stains your vehicle has. A car cleaner can be purchased from gas stations or local car-shops and you should definitely read the instructions for use and how much you need to mix with water before using it. Spin quickly the entire vehicle with the sponge. Make sure the sponge is too wet to remove the thin layer of dust and soften the most persistent stains and any insect debris. 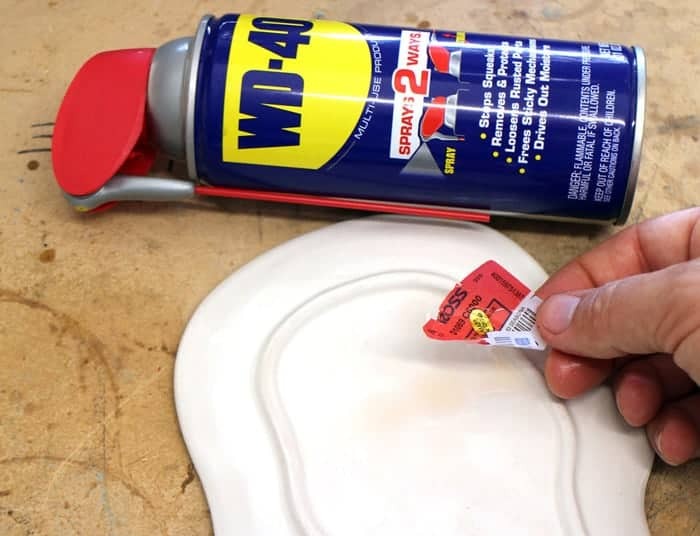 If there are stains of insects, stickers and bird impurities, you can use the WD40 to remove them without any difficulty. Usually the wheels of the car are the dirtiest part. It is better to use a brush for wheels and then with the sponge. Do not forget if you want to have the perfect result to wash and the domes from the wheels as you accumulate and most dirt. Use the sponge again with plenty of water and soap to pass the entire body and pay attention to areas with the most stains. Do not use a brush for car washing because it can scratch the body. Also check the sponge because if you have left it on the ground it may have small stones on it and carving your vehicle. Repeat in areas that have not been completely cleaned. Rinse with water. Try to keep the whole body wet because if water stains are dry they will not let your car polish. Pickles and microfibre cloths are the best products for drying your car. Quickly dry the entire body and be careful not to leave any residual water, especially in areas where rust may occur. When you are sure that the car is dry, use a special polish wax. 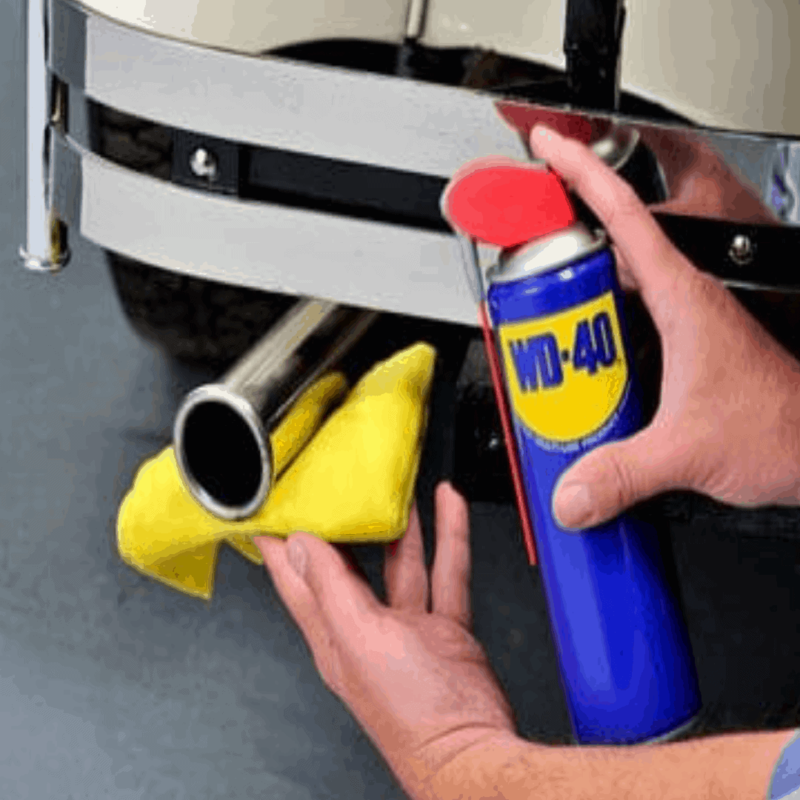 You can use WD40 to lubricate and protect car parts from rust, such as exhaust, locks and door hinges. You can also use it to reduce any scratches in color or marks from other cars. Ξεκόλλημα αυτοκόλλητων: Δείτε πως θα τα βγάλετε με μία κίνηση! 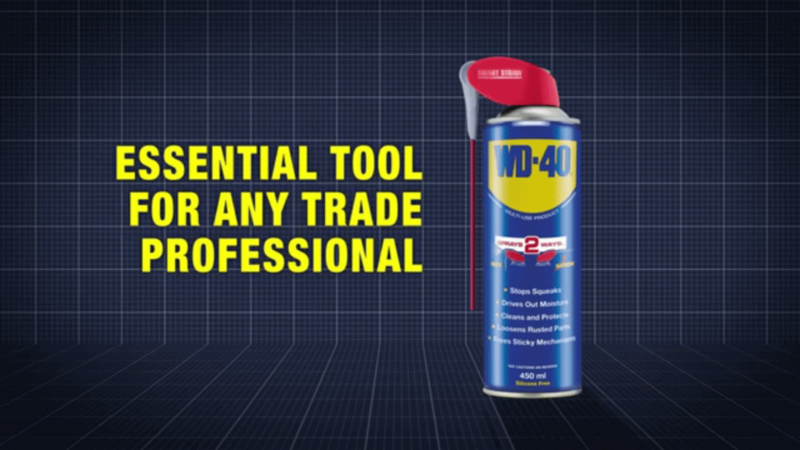 Εάν σας αρέσει το WD-40, θα λατρέψετε την σειρά WD-40® Specialist®! Τα καλύτερα στο είδος τους προϊόντα συντήρησης, κατασκευασμένα για να παρέχουν στους επαγγελματίες την απόδοση που χρειάζονται, ώστε να εργάζονται σε εξειδικευμένες εργασίες με τον σωστό τρόπο. Δείτε τα άρθρα μας στο blog! Μάθετε περισσότερα για τις χρήσεις των προϊόντων WD-40 στο σπίτι και στην δουλειά σας. Αντισκωριακό spray WD-40®: 5 απρόσμενες χρήσεις του! To WD-40 Company είναι ένας παγκόσμιος οργανισμός αφιερωμένος στην δημιουργία και πώληση προϊόντων τα οποία βοηθούν στην επίλυση προβλημάτων σε εργαστήρια, συνεργεία, μηχανουργεία, εργοστάσια και σπίτια.